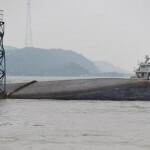 The 34 meter long tanker Wan Dong Fang 298 capsized and sank on the Yangtze River near Nanjing, China. 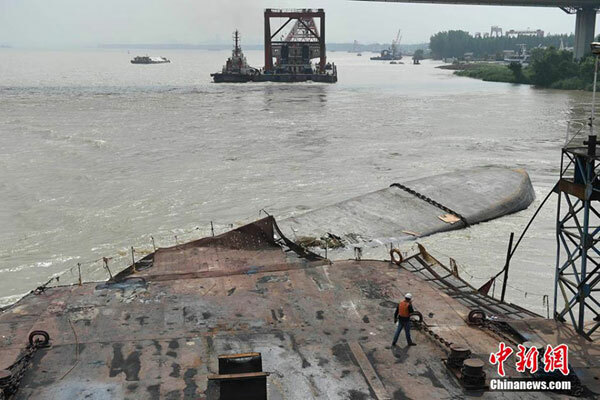 The tanker with 2 crew were proceeding to Hefei from Taizhou with 280 tonnes of liquid sodium hydroxide when it lost stability and rolled over and sank. 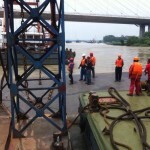 Authorities were alerted and a search and rescue operation as launched for the missing crewmen. 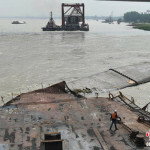 Reports state the vessel’s cargo tanks were still intact, but some diesel fuel was released into the river. A salvage operation is underway to raise the tanker from the water and tow it to the shoreline.